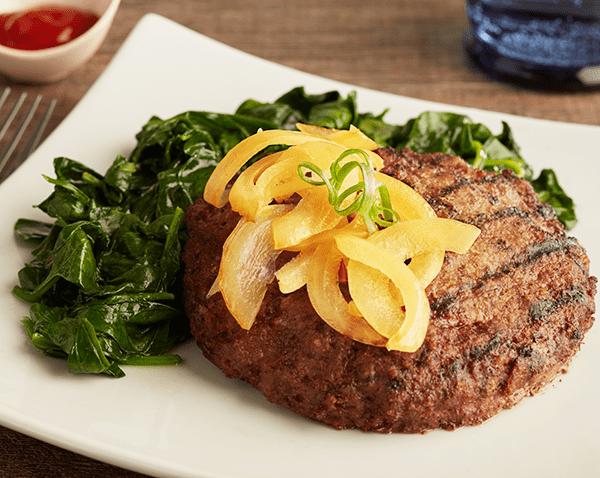 6 ounces of pure, lean, high protein Bison Meat (ranging from 93-96% lean) and ground beef, paired with delicious sauteed onions. BISON, GROUND BEEF, ONION, SUNFLOWER OIL. Working Hard So You Don't Have To!